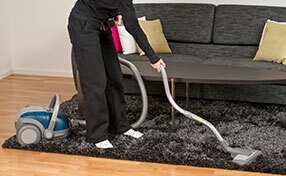 Why Your Microfiber Sofa Requires Cleaning? You might not even know if your sofa is made from microfiber or not. If this is the case, one of the most telling aspects will be the fact that it is, for the most part, usually very easy to clean. Microfiber is a magical material that is designed to be very practical for living room and seated furniture. It is often made from nylon or polyester. The structural build of these materials enables very tight knitting, which makes microfiber fabrics very good at repelling dust and moisture on impact. The idea is that you can keep them clean by quickly wiping up the collected liquid particles as they sit on the surface of the fabric, enabling the removal of stains before they set in. If looked after carefully this handy fabric can keep intense couch cleaning off the chores list. Most of the time sofas made from microfiber are relatively easy to maintain, however there are instances where this fabric can be stained. 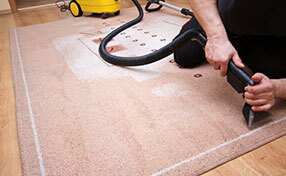 In these cases an expert who is trained especially to combat microfiber stains will be needed. Here we'll go over a couple of the most common instances where your microfiber sofa will need an expert. These are one of the most common types of mark to remain on a microfiber sofa. 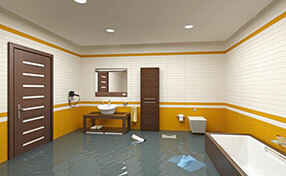 Microfiber is designed to prevent moisture from being instantly absorbed, so that when owners see the spill they can react. When the stains are created by children with markers and pens however, there might not be an adult around to react quickly enough, and the ink can have the time required to set in. You will find these marks near impossible to clean, but an expert from a stain removal company will have the necessary tools to do so. Microfiber is a great fabric to use around pets. The close knit weave means less hair retention, and its smoothness helps prevent the surface catching on claws. Almost all woven fabric will be susceptible to deep odors and pet stains. After some time even your microfiber sofa will develop smells and marks from pets that only a company specializing in pet stain & odor removal will find easy to deal with.